Former Sri Lanka cricket captain Arjuna Ranatunga and dashing South Africa opener Hershelle Gibbs are among a host of stars of yesteryear who will don cricket gear once again and take to the pitch tomorrow evening for the opening of the Brian Lara Cricket Stadium in Tarouba. 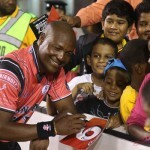 Former West Indies and Trinidad and Tobago legend Brian Lara, who is simultaneously launching the Brian Lara Cricket Academy (BLCA), will lead out a Brian Lara XI for the exhibition T20 affair that bowls off at 7pm. The official main event, the ceremonial opening of the newly refurbished facility, is carded for 6pm but the gates will be opened from 3pm. West Indies Captain Brian Lara (centre) walks off the field after being run out against England during the Super-Eight ICC World Cup cricket match at the Kensington Oval in Bridgetown, Barbados on 21 April 2007. 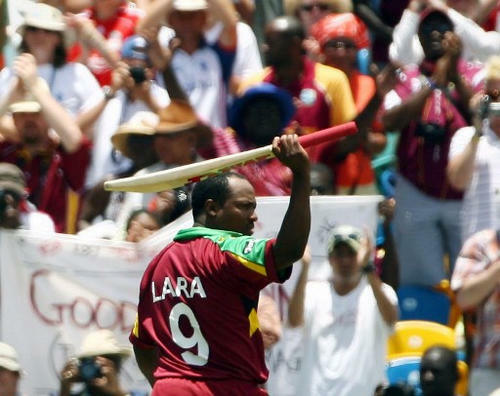 Lara scored 18 runs in his final international cricket match. 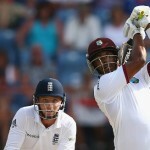 The Lara XI also includes a host of past and present West Indies players, including Dwayne Bravo, Denesh Ramdin, Mervyn Dillon, Kevon Cooper, Jason Mohammed and new Sports Company of Trinidad and Tobago (SPORTT) chairman Dinanath Ramnarine. 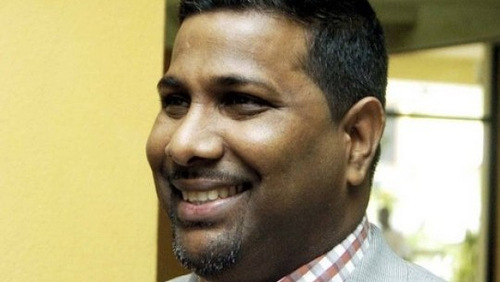 Ramnarine, the former West Indies Players Association (WIPA) president and West Indies spinner, was confirmed as SPORTT chairman this week by the Ministry of Finance, which is the Corporation Sole of State enterprises. 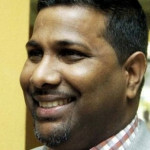 Ramnarine’s first engagement as chairman will be at tomorrow’s event in Tarouba. Tickets for supporters cost TT$100 and are on sale at all NLCB outlets. Despite an early announcement by Sport Minister Darryl Smith, former India cricket captain and icon Sachin Tendulkar will not take part while the final squads were only decided upon and released to the media within 48 hours of the start of the event. Arjuna Ranatunga, Curtly Ambrose, Ian Bradshaw. Courtney Browne, Johnson Charles, Corey Collymore, Kirk Edwards Andre Fletcher, Terryne Sunil Fray, Herschelle Gibbs, Imran Khan, Devon Malcolm, Ricardo Powell, Ramnaresh Sarwan and Gladstone Small. Very shocking. Like Lara recommend him. Respect for the man. Brian Charles. 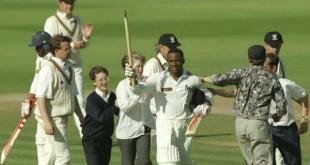 True True son of the soil and the cricketing World. Signal to Lara and the Cricket academy. Be a good host. Enjoy the Day and Welcome to the guests. 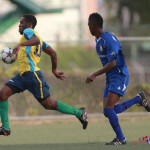 Cattle dead..sell de rope…how he heng he swing…goat stuff doh wait for high win’ to roll..””Lasana Liburd for TTFA/CFU Communications Secretary.